"Bring on the Night promotion was aimed at 15-year-olds. If we had tested it properly, perhaps we would have realized the movie is more for the 20- to 35-year-old crowd. When a 15-year-old thinks of a documentary, it's usually in terms of a film about aboriginal Indians baking manioc cakes in the South Amazon." 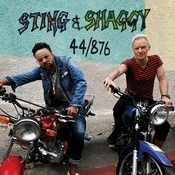 "Maybe Sting and I made a mistake. 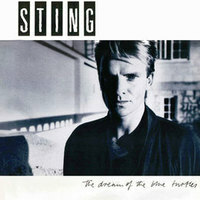 We didn't want the film to look like an MTV version of the album (Sting's hit 'Dream of the Blue Turtles') but realize now we should have used the LP to sell the film. We avoided it. We underestimated the drawing power of the album. I think it will be a big video cassette seller, but I am disappointed. We wanted to get more juice out of the movie in movie houses." "At first, I resisted filming it, then I realized there's a tenuous link between the band being born and the baby, so it fit." 'Bring On The Night' is a part of that. It's about the life of a band in one week. I'm going to be very involved in the editing process of the film. I won't be just saying my lines. It's being shot as a feature movie, in environments that are meant to look like film sets. So it's a real movie, but there's no script. The thing that's interesting about the movie is that most rock films are about bands after they make it big or when they finish. This is about a band at the beginning. It's quite exciting, fresh." "It's an honest look at the beginning of a group and in that sense it's unique. I've never seen a film like it. Most bands don't have the funds to film the beginning, even though that's the most exciting part." "This is the first film about the process, about how the music is created and how a band gets to the stage. And it's a character study. I didn't want to do just a concert film - I wanted to know about the people in a band. 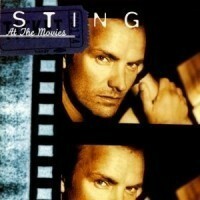 It's not a glorified look at the album or a puff piece for Sting or an extended MTV video. 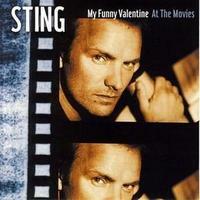 In fact, you'll notice that not a single song is played all the way through in the film." "The way we related to each other seemed right, and then one morning I had a whim. Wouldn't it be a great idea to do a film about starting a new band. But it became a reality very quickly. Before I could tell everyone it was just a joke, there were 120 people around us and we were spending all this money - somebody else's money. And I felt responsible, which is why I look so worried in the first part of the film." 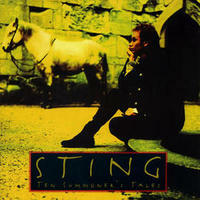 In 1985, when Sting launched his solo career with 'The Dream Of The Blue Turtles', he set in train a second project. He decided to document this period with both a live album and a feature length film. 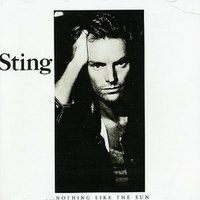 Arguing, quite correctly, that most movies about rock bands were filmed either at their peak or towards the end of their career, and that most live albums were recorded once a band had an established following Sting decided to break the mould. 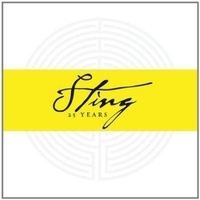 Sting recruited the band he was to record the Blue Turtles with - Kenny Kirkland (Keyboards), Darryl Jones (Bass), Branford Marsalis (Sax), Omar Hakim (Drums), and Janice Pendarvis and Dollette McDonald on backing vocals in early 1985, and in May that year he relocated to Paris where a series of shows had been booked at the Mogador Theatre. Accompanying him were a film crew, led by director Michael Apted. Apted filmed the band extensively over a nine day period during rehearsals at the Chateau de Courson for the week long series of shows, interviewing all the members of the band, following the set up and lighting of the stage show, press conferences, photo shoots, and finally ample footage of the concerts themselves. 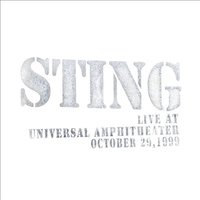 Whilst the movie was released in theatres in October 1985 the live album followed in early 1986. 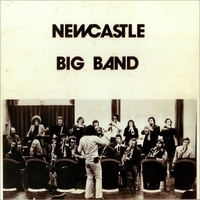 The reason for this was that the album contained live tracks from the Paris shows but also included tracks recorded seven months later in December in Rome, Arnhem and on a return trip to Paris. It could be argued that the album therefore sounds a little disjointed, especially when the tracks do not follow the format of a live show, but really these are minor quibbles. Whereas the 'Bring On The Night' movie concentrated on recording for posterity the birth of a band, this release should be seen as a valuable companion piece. Avoiding the temptation to just issue the performances on the video which were filmed in late Spring 1985, only two of the album's 13 tracks date from this period. The others come from shows around Christmas 1985, after the band had played more than eighty shows together. No longer the strangers feeling their way that you see in the movie, this is a well drilled and extremely talented band that were just awesome on stage. The choice of 'Bring On The Night/When The World Is Running Down' for opening track is actually a very good one showing just how well the band had gelled and setting out their credentials. 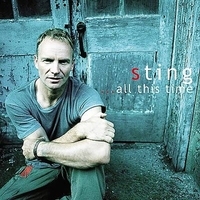 Sting's opening chords - this time on guitar rather than bass - quickly lead into a terrific groove provided by Darryl Jones, Omar Hakim and Kenny Kirkland. 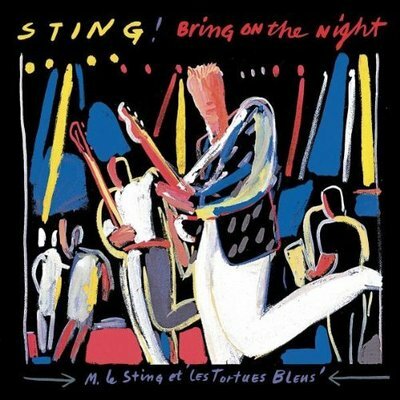 'Bring On The Night' segues into 'When The World' so smoothly you could be forgiven for thinking it was the same song, and when Branford Marsalis's weighs in with a terrific rap segment, the song reaches a terrific plateau and just stays there. Awesome stuff. Hakim's delicious tripping cymbal signals the start of 'Consider Me Gone', which is quickly richened by a sensual vocal from Sting and some masterful saxophone from Marsalis. The old Police b-side, Low Life, is a real surprise package and is given a bluesy twist that has The Police's hard edges knocked off with more of Marsalis's tenor sax, and some complimentary backing vocals from Janice Pendarvis and Dolette McDonald. 'We Work The Black Seam' is a little faster than the album version but otherwise remains faithful to the version from 'The Dream Of The Blue Turtles'. The mad cacophony of 'The Dream Of The Blue Turtles' track quickly breaks into a storming version of 'Demolition Man'. 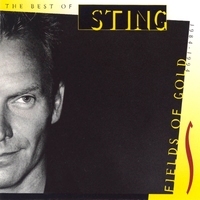 Jackhammer-like drums and Sting's strong vocals power the song along to a rousing finish. A demonstration of just how adaptable the band are comes on the medley of 'One World'/'Love Is the Seventh Wave'. The harmonisation on 'One World' is simply beautiful, and all to a perfect reggae rhythm before effortlessly sliding into the lush percussion, sax and keyboards of Hakim, Marsalis and Kirkland. Marsalis and Hakim cut loose on 'Children's Crusade', where Branford's sax playing is a special treat. 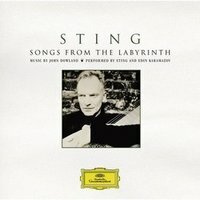 The blues standard 'Been Down So Long' gets the full virtuoso treatment - including a lovely piano segment from Kenny Kirkland, and Sting's vocals too are excellent. 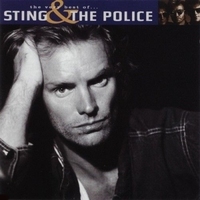 The album ends with The Police song - 'Tea In The Sahara'. This was an awesome live band as anyone who saw them will tell you, and this release does the band's memory justice. 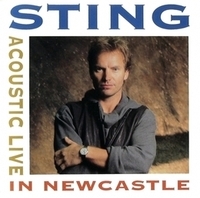 The especially pleasing thing about the album is the lack of obvious crowd pleasing Police favourites - 'Roxanne', 'Every Little Thing She Does Is Magic', 'Message In A Bottle' etc, - with Sting instead relying on a mixture of his new material, Police medleys that show off the band's virtuosity, and on long overlooked songs such as 'Low Life' and 'I Burn For You'. 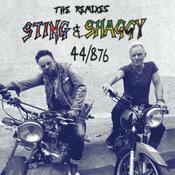 Great music played with style and skill - you can't go wrong with 'Bring On The Night'. Only available as an import, this double-record set captures the former Police chief with his badass set of jazz-fusion firebrands who blew apart the Cow Palace earlier this year at the Amnesty International concert. 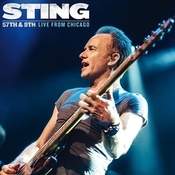 Not exactly the sound track to the documentary film of the same name, recently released on home video, the album, like the film, comes from the early part of the band's year-long sojourn with Sting. 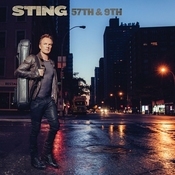 By the end of the year, the all-star band of heavyweight jazz musicians had forged a singular middle-ground between their world of jazz and Sting's rock arena. 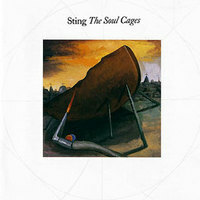 This album finds saxist Branford Marsalis, keyboardist Kenny Kirkland, bassist Darryl Jones and drummer Omar Hakin still getting their feet wet in the less demanding rhythms of rock, where drive is often substituted for nuance, something these highly accomplished musicians had clearly learned by the time they hit the Cow Palace. Some of the first tentative steps toward a fully realized meeting of the musical minds can be detected, although the fusion side of the instrumentalists dominates this scrupulously recorded LP. 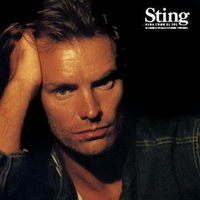 Sting mixes selections from his solo album with the band, 'Dream of the Blue Turtles', along with Police oldies like 'Demolition Man' and 'Tea in the Sahara' and, while these recordive already made this one of the most popular import LPs of the past couple of years. 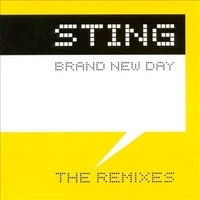 This was the sound Sting wanted all along. The sound Sting wanted for his jazz band didn't really come out on 'The Dream of the Blue Turtles'. 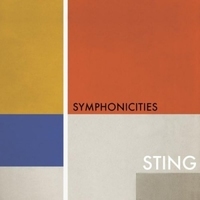 It started to happen only when the six-piece outfit hit the road: Natural segues developed, linking past and present Sting compositions in a way he couldn't have orchestrated. Riffs delivered casually one night became huge motifs the next. 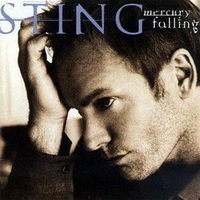 For Sting, the static pop song was no more. His band played fresh, to the moment. Anything could happen. So it's a good thing he chose to record the 'Blue Turtles' world tour. 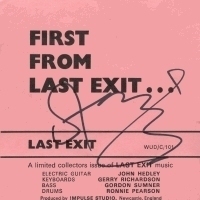 This two-record set, taken from the European segment, contains some classic Kenny Kirkland piano improvisations (especially on 'When the World Is Running Down'), some near-brilliant Branford Marsalis (on 'One World', where he quotes the standard 'Let's Fall in Love'), as well as propulsion from the never-let-up rhythm team of drummer Omar Hakim and bassist Darryl Jones. 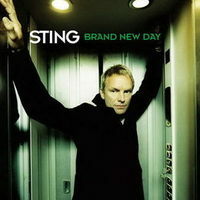 The highlight is an 11-minute medley, 'One World (Not Three)' into 'Love Is the Seventh Wave'. 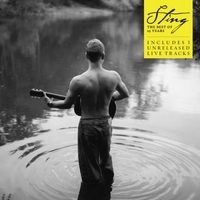 Once the initial commotion dies down, Sting begins a long development section with Wes Montgomery-influenced block guitar chords. Soon the background vocalists come in, and an exchange develops over the 'Seventh Wave' lyrics. 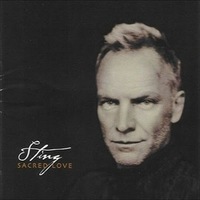 Just as the energy peaks, Sting switches to 'One World', leading a series of rhythmically challenging chant phrases that build to a furious soul revue-style climax. 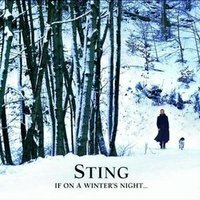 'Bring on the Night' is the album Sting wanted to make all along, a genre-busting statement that works brilliantly on many levels. 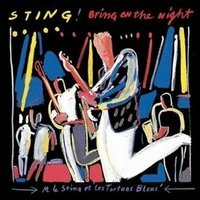 Sting's double live album 'Bring on the Night' draws a neat line under the first year's activities of his all-star jazz musicians' band. 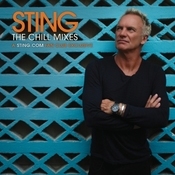 The collection features songs from The Dream of the Blue Turtles album, and some reworked Police material, all expertly played, and expertly produced by Sting and his co-manager, Kim Turner. 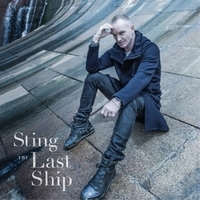 Perhaps the strongest feature to emerge is how well Sting has maintained his extraordinary facility to write great songs over a prolonged period of time. 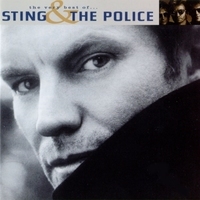 But the album's air of meticulous precision, which makes it hard to believe that it is a live album, is a worrying pointer to the future, suggesting that Sting needs the Police to protect him from his own perfectionist tendencies. 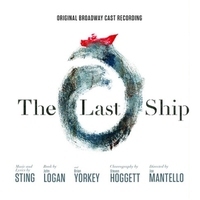 If he is not careful, a couple more years with his current line-up and Sting will find himself entering the high-gloss middle-ground currently dominated by Phil Collins. 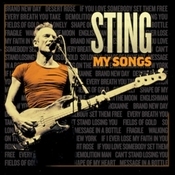 Sting: Guitar, Vocals Bass on "Moon Over Bourbon Street"